I have just finished reading Vice Admiral Harold Hickling‘s 1965 book. Sailor at Sea, about his service life in the Royal Navy including the two World Wars. He refers to Turangi in a couple of parts of his book and I wonder why such a busy man would retire to Turangi. I conclude that he came here to fish for trout and in so doing sought a stress free leisurely retirement. He of course wrote Fresh Water Admiral about his experience of living here in Turangi and the attraction of trout fishing. There is an anonymity among anglers. On the river we are anglers and all else is unimportant. For me its enjoyment, a bot of exercise and the special nature of the environment. As I write there is again snow on the Kaimanawas and it is spring, It is blowing a gale, The Whio (Blue Duck) have advanced downstream to the Reed (the furthest downstream I have seen them) and there are a number of breeding pairs throughout the river. Weekends see a significant increase in anglers and favourite fishing spots are seldom without anglers. There is the thrill of catching fish. I think Thoreau got his statement right. Waikato Regional Council Meeting, Taupo Office meeting in Turangi on The annual work plan on the Tongariro River. The document is available from the following link Tongariro River Works Plan 2014-2015 and in our Library -> Key documents. All stakeholders were advised of this meeting held last week and were advised to notify interested parties of their welcome to attend. People must be satisfied with the river and its environment as it is now as attendance was poor. The fishing is good. The river bed has stabilised after the elimination of the willows on the true left and much of the debris from branches has moved downstream with good gravel river bottom. The river below SH1 (State Highway 1) is running faster than it has for some time so that the silt is not the problem that it was. So what benefit in attending such a meeting. It is good to hear different perspectives on what people see as issues. I asked that two matters be looked at. The first is the bluff above the Cicada Pool for the track which was endangered above the Pool stopping access along the true right from The Major Jones to the Red Hut bridges. 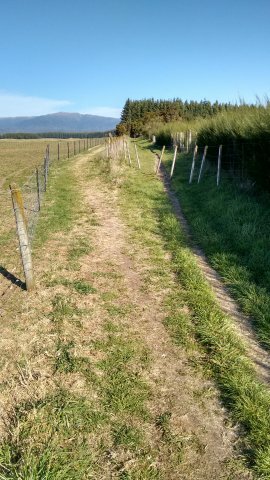 Thanks to the Department of Conservation (DOC) the track has been moved further back from the face through negotiations with the owners of the Mangamawhitiwhiti land allowing continued access. This happened 10 years ago in the big flood of 2004. And it will happen again. I don’t have an answer to this issue, I am only an observer. The second issue is Deep Creek. Deep Creek runs into Lake Taupo alongside the Tokaany tailrace and starts near the end of Awamte Road just downstream of the Sewage Treatment facility. In the largest of this years floods at 740 cumecs Deep Creek was again a threat as it threatens to become a major mouth of the Tongariro River and reduce the rips at the Main mouth. The erosion of the access track downstream from Awamate Road is significant. Should WRC preserve the existing mouths or mouth? I think they should. WRC in their flood control plan want to maintain the area cleared of willows with vegetation less than 1.5 meters in height. A few areas in the consent area are above that height. Spraying poison is one method of control but concerns are voiced that Whio must be protected. The same case is made for the vineyards. Should control be mechanical? In both issues I raised there is a cost to ratepayers who fund the work of WRC and the Turangi Ratepayer base is declining so who should pay for the work. 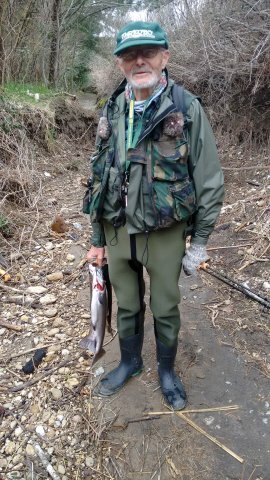 I went to the Delta on Sunday as cold, wet and fishless. I noted the beach area at all mouths that make the main mouth covered with trees and branches brought down by this years floods and I suspect there is some vegetation in the deeper water at the mouth judging by the loss of flies there. It was good that there were 4 WRC people at the meeting including Kathy White our council rep, two staff from Taupo District Council and 3 councillors from the Turangi Tongariro Community Board. Two tangis on that day in Turangi meant that there were apologigies and it was good that one of TTCB councillors, Te Takinga New attended and made apologies for those at the tangis. DOC also apologised for non attendance. That left Cam Speedy from Genesis and myself at the meeting. 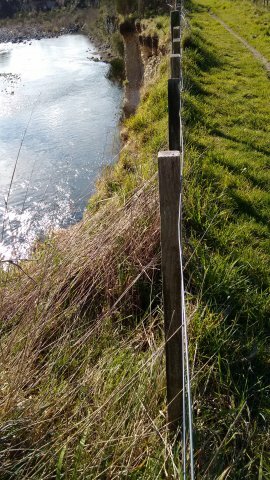 Todd Baldwin River Works manager asked that if we have a problem with what is happening on the the river that he be contacted at WRC Taupo office. My fly box is my hat and a couple of weeks ago it came off my head in the carpark at the Bain Pool. I thought I had the answer with my hat being safer than a fly box dropped in the river. I met Peter Williams on the river a day later and told him the sad story of losing my hat with my flies in it. He asked the colour of the hat and I told him and he gave the joyous news to me that he had it. He was drying it and was taking it into Graham Whyman . He brought it to me later in the day and for good measure tied me some of his successful flies which took 30 seconds each. I say thank you Peter and advise that your fly is a very good fish catcher.